There is not a coach in our business who does not want to win, and win big. Certainly there are many similarities among all programs, but there are also key differences in perspectives on the best way to put together a team and build a program. How many times do we, as coaches, ignore things in recruiting because we absolutely have to have a big man that year? Sometimes we overlook red flags in the quest for talent, and the baggage a recruit brings to campus ends up being more trouble than the recruit is worth. Yet, even after being burned a few times, many of us will still choose to take the talent and ignore the baggage. But do we have to? We all preach culture, but then we make it impossible to have a great one (or even good) if we have players who are incapable of functioning within the culture we work hard to create. I have an unbelievable job as the head coach at my alma mater – Purdue University. I am very fortunate to be in this position and try never to lose sight of that fact. We have been able to go to nine of the last 11 NCAA Tournaments. There are only 15 schools in the country that can make that claim (five schools have gone to all 11, four to 10 and nine to nine of the last 11). But, as any coach would understand, what eats at me is why didn’t we go to 11 out of 11? So, I spend a lot of time analyzing why we missed the tournament those two years. We had been able to build our program after an incredible 25-year run by Gene Keady. He’s a man I have tremendous respect for as a person and coach. When I became head coach, I had to establish myself with our team, recruits and fan base. There was a lot of work to do. In my first two years in West Lafayette, (one as an assistant coach and one as a head coach) we won 16 games. Total. We did the rebuild just like Coach Keady had done it with tough, hard-nosed guys that fit at Purdue. We recruited Carl Landry, David Teague, Chris Kramer, Ryne Smith, DJ Byrd, Keaton Grant, Lewis Jackson, E’Twaun Moore, JaJaun Johnson and Robbie Hummel and many more that we felt fit the culture we knew we needed to be successful. But then we (or more accurately, I) got away from that. We started hearing things in our locker room about starting and minutes and not about the main goal – winning. What do we all do when these things start to happen? We attempt to fix it. We have team meetings, individual meetings & clean up the sloppiness of our practices. This hopefully leads to everybody buying in and when you have the talent, the change and improvement can lead to more wins. But what does this lead to when you have younger guys who are not thinking of the team and won’t buy in? Usually more losses, and life becomes miserable. How did we get to this point? What do we do to get out of this rut? It is very hard to reshuffle the deck in our profession and keep our jobs. But after two losing seasons, we had to find out who we could “hang our hats” on to be our guys that were bought in and who could get us back to competing at the top of our league and going to the NCAA tournament. Instead of discussing what (and who) was wrong at this time, there was one big right in our equation: Rapheal Davis. He was the one guy that I thought was 100% about winning and that had the tools to do something about it. He worked hard, was a tremendous leader, came from a great family, and it ate at him when we struggled. He was bothered by it just as much as the coaches were. So, I took the captain title away from a couple of guys at the end of the first losing year that weren’t doing what they were supposed to and named Raphael a captain. I publicly blamed myself for the position our program was in at the end of our second losing season. But, I knew we had a start. A guy who could carry the torch for our program and lead by example and who would voice his opinion when the coaches were not present. There is nothing like hope in our profession. He gave us hope, and we built by adding some pieces (a great freshman class and a timely 5th year transfer) and subtracting others. The last three years we have added some high character guys who also have talent. And more importantly, we have walked away from recruiting guys who had tremendous talent but who we knew, deep down, just weren’t the right fit for the culture of our program. That has got us back in the tournament three-straight years, and we have finished third, third and first in our league. Our talent and character have both improved. The chemistry within our team is never perfect, but we have guys who try to fix it themselves when we hit rough patches. It actually helps us now when we face some adversity from time to time because it allows us to grow as a unit. We all do everything in our power to help our players with aspects of being a student-athlete in today’s world, but frankly there is little we can do that can compare to what has been instilled in them in the first 18 years of life before they get to us. The recruiting segment of “getting a Purdue guy” is the most important element in this equation. When I look at our teams, the common denominator in our winning seasons, and especially on those teams who took our program from last to third in the Big Ten in 2015, has been their willingness to be coachable, their upbringing and discipline to be a good teammate and player for Purdue. When you are able to recruit and have a team full of guys who fit your culture, you are able to do the things we all love. Focus on practice, teaching, game planning and hopefully winning. And at the end of the day, that’s why most of got into this profession. 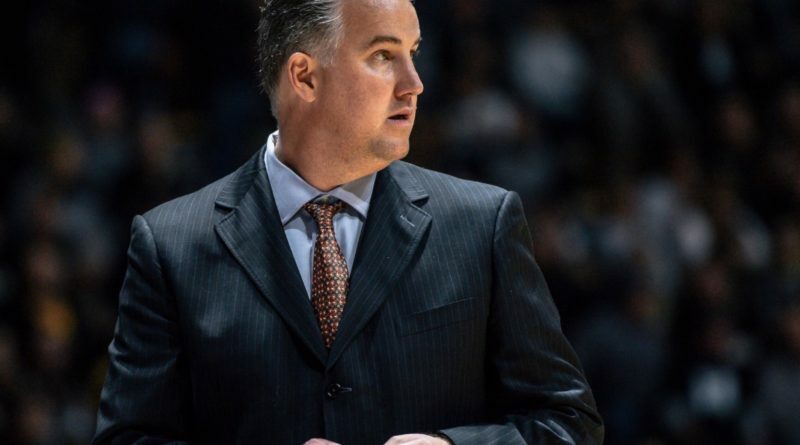 Matt Painter is quite simply one of the very best in College Basketball. He has averaged 21 wins in his 12 seasons at Purdue and has registered 25 or more wins on 6 occasions. He first became a Head coach in 2003 at Southern Illinois where he went 25-5 and was named MVC Coach of the Year in his first year before being named Associate Head coach at his Alma Mater, Purdue, in 2004. He became Purdue’s Head coach in 2005. Matt has been named Big Ten Coach of the Year in 2008, 2010 and 2011. Very proud of Purdue Basketball. The winning on the court and in the classroom that your teams are doing is a model for all other programs. Keep up the great work! That is a good reflection of how to win in life and also to be able to help other people grow in a positive way, go boilers, and painter. This Purdue ’89 grad agrees 100% with Coach Painter’s outlook. Personally, I would rather watch my Boilers lose playing fundamental basketball with hard-nosed kids than to chase four and five star players looking for a ticket to the NBA. If I could recommend anything to Coach Painter, it would be to incorporate “Northern Indiana” to Purdue’s basketball branding. Because, so much of Purdue’s legacy was built on kids from Fort Wayne, Muncie, Gary, Valparaiso, Lebanon and East Chicago. Totally agree with everything he said about Raphael Davis . Top notch player , teamate and person . Love the way you do things coach! Wish you still had your coaches clinic. I was fortunate to go to two clinics. Boiler Up! Somewhere in Heaven, Coach John Wooden is smiling…. I have criticized Painter at times, but also been fair enough to credit his growth. I personally believe his growth in recent years has brought the program to what will be a Final 4 run this year, if not the national championship. This article seems to reflect what I see on the court. Thanks for the hard work and dedication to the program. i remember yelling at the tv, shoot matt, shoot. he had a great stroke but was reluctant to take the shot. Bill Brock, Morrow,Ohio I am a good friend of Paul Jannsen ,and really enjoyed your stand on team unity . I am now a fan of Matt Painter and his coaching philosophy. What I remember most is when Purdue had practically the entire starting line-up injured, he never allowed that to be an excuse…even when the media tried to serve it on a platter. Tom Izzo took notice and showed respect for how Painter handled the situation. He also showed great character when he did the “addition by subtraction” by letting starters walk from the program. That was a great risk but it paid off with patience. I get frustrated when Purdue loses 2 first round NCAA games because they collapse at the end when they got away from what got them there and also couldn’t hit free throws. Purdue came back this last season by being a great free throw shooting team. Unfortunately, Kansas was HOT shooting and Purdue went cold after the half. It would have been interesting to see what would have happened if we got through that. Can’t blame the coach when the team plays good defense but the opposition plays out of their mind.